The school year hadn’t even ended before I decided to start our summer memories. My children had classes until June 28th while most of the country began summer vacation in late May. In between graduation prep for three children and the final few days of classes, we needed an quick escape from the city. 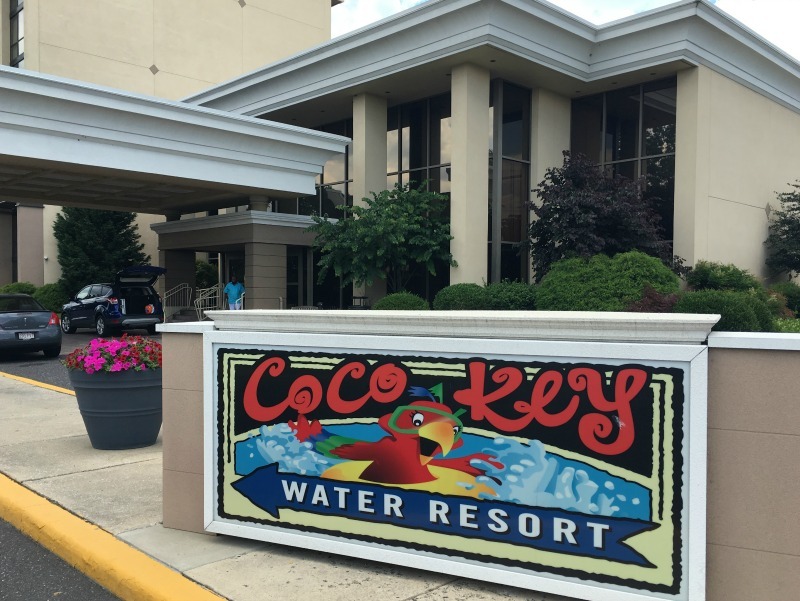 The ML Hotel and Coco Key Water Resort in Mount Laurel, New Jersey was the perfect choice for our weekend away.While Coco Key Water Resort can be enjoyed without staying at The Hotel ML, we stayed over since we live in Manhattan. 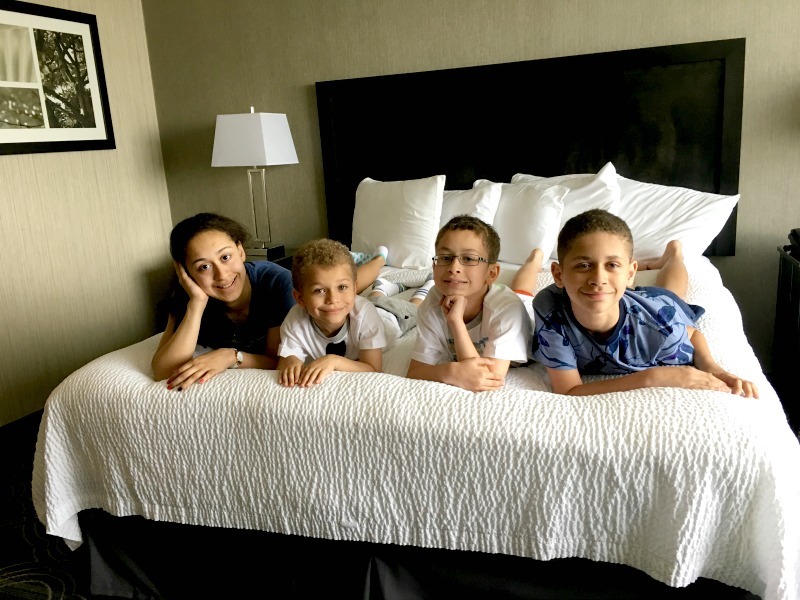 After checking in, my children claimed their beds but still ended up on mine. A quick change into swimsuits and we were off to partake in water fun. 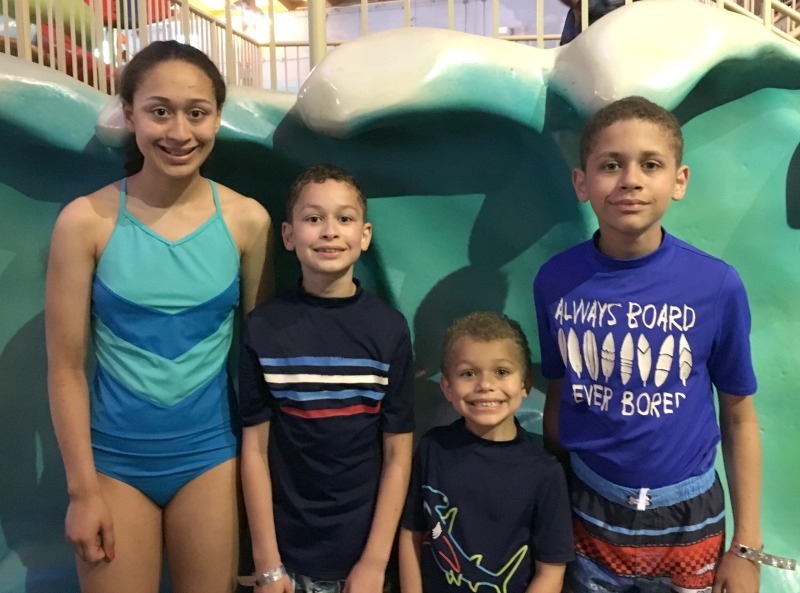 Three of my children took advantage of the larger water slides — Pelican Plunge, Sharks Slam and Barracuda Blast. Don’t feel bad for my youngest who didn’t meet the height requirement just yet. He had his own fun on the Lilly Pad Adventure and Coconut Grove lazy river with me in addition to the Parrot’s Perch jungle gym slides with his brothers. 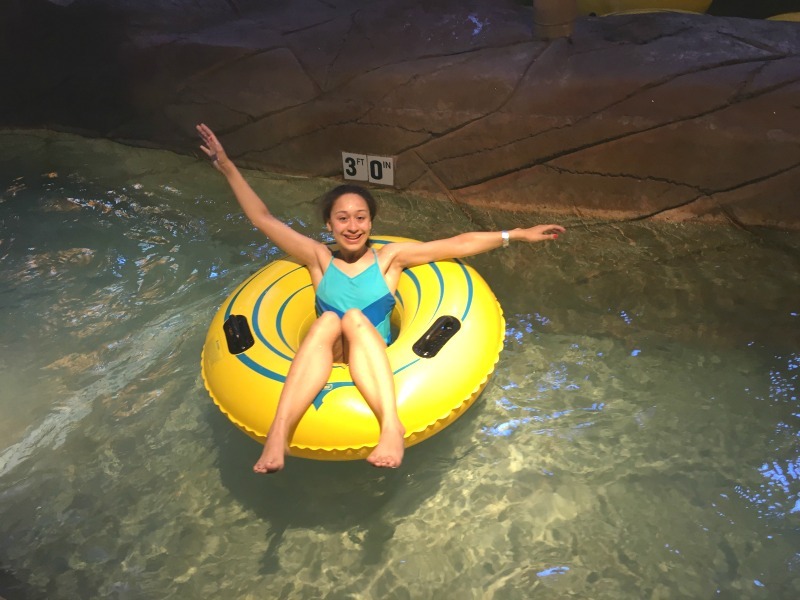 Coco Key Water Resort is best for children up to age 13 so this visit came at the perfect time. 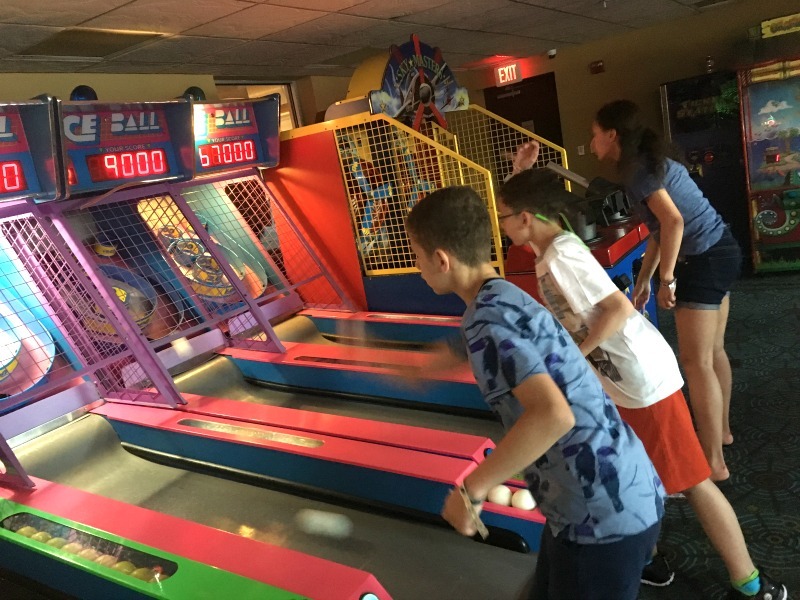 While we spent plenty of time at the water park over two days we also took advantage of the Key Quest arcade. 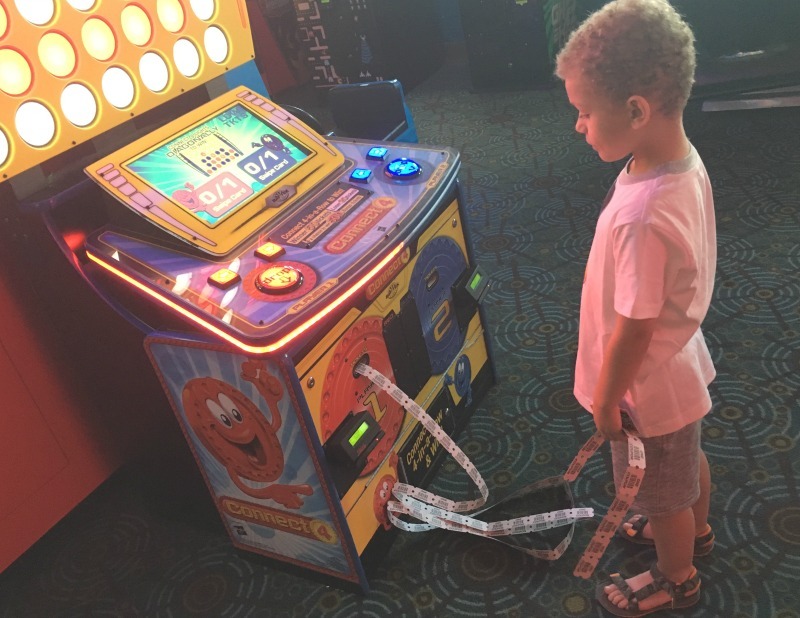 We started with $10 arcade cards and ended up adding $40 to each card. My four kiddos sure know how to clean up at arcade games. I cannot confirm or deny my participation in any games of skee ball. I can tell you that we raced back from dinner to catch the Family Movie Night the hotel offered. There was something about watching a movie after a day of fun that made movie night the perfect ending. Coco Key was a memorable and enjoyable escape for us all. My girls love to go to indoor waterparks. We have not gone to this one yet and it looks like a lot of fun. I see it is not that far from NYC. Great weekend trip! It looks like you guys had fun! 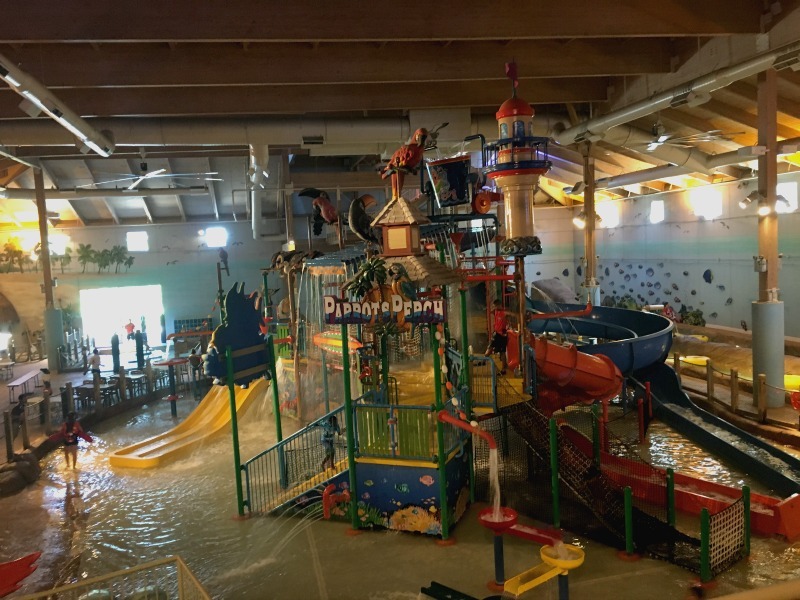 We were just in NJ for a visit and hopped over to the Kalahari Resort in PA, but had I known about this resort, I could have saved myself a 2 hour drive to the Poconos!! Great pics. Glad you guys had fun. This sounds like a really great place to take kids. Looks like fun! I wish I had the time to do something like this with my kiddos. I think we need to go there! I think he will be tall enough next summer for one of the ‘big kid’ slides. Not the two largest. But he definitely had enough to do while there to keep him busy this time around. I don’t remember if I ever went on one. I do know my balance is nothing like his though. I would have been in the water, fast. That looks like so much fun! Oh to be a kid again. Haha and if you are like me, I am the one taking over skee ball! Glad you had such a wonderful time with your kiddos! What a fun looking place. Thanks for sharing. I will keep this in mind for sure. That looks like a blast!!! I wish we had one closer. 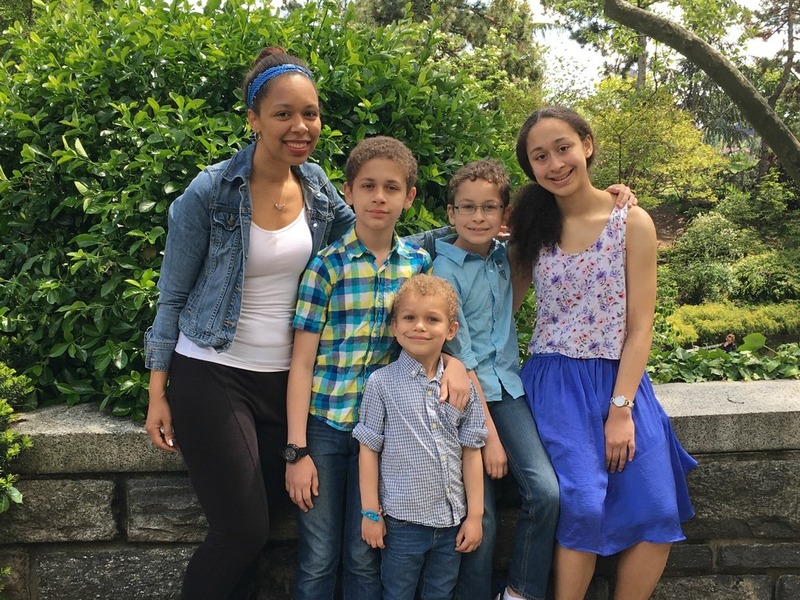 Perhaps we need a long weekend trip to NYC with all the kids! I have been to this Coco Key but my cousin had her twins’ birthday party at one near me several years ago. The kids had a blast! We have a Coco Key in Florida and it is SO much fun! I’d love to visit this one – looks like a lot of fun! Okay, this just looks like way too much fun! Is it weird that I’m a bit jealous of your kids? Haha. Sounds like a fun time you guys had at the water resort. I want to go there soon. And this one was the perfect size so I could let them have fun but also keep my eye on them! I’m sure you’d have fun too! haha I was a bit jealous the older ones were able to go down the big slide. I stayed with my youngest. But I wouldn’t have tried the slide that’s dark. My first but not last visit to this one. So fun! I live on Long Island and had been wondering about this place! That looks like so much fun! And I LOVE skee ball!! What great memories you are making with your family! Treasure these photos! I would love to go there one day! We visited the CoCo Key Resort in New jersey two years ago and we had a great time. 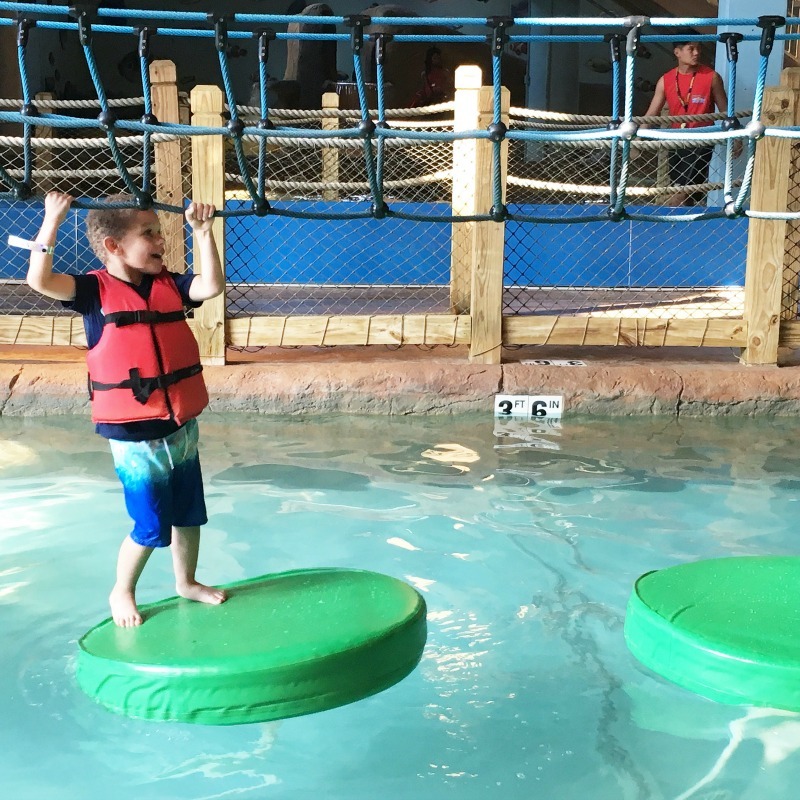 Not only was it very inexpensive, but our boys loved all the indoor water activities. Oh my goodness, I kind of want to go just for me! My son would LOVE this soo much! The Coco Key Water Resort sounds like a great place to go with the family. They sure have a lot of fun things to do with the kids. Yea, it was a great place for them to have fun. I just love the size. I was able to let them have fun but still watch them. Such a win. haha they definitely had fun. It’s not far from Long Island. You should plan to go! I am so bad at skeeball but have such a great time playing it. I know. They are growing up so fast. Being able to have quality time with them this summer means so much. This looks like such a fun holiday for the summer. My son is a little too young right now but taking him to a water park is top of my list. Must have had so much fun and adventure! It’s great summer time for the kids! Wow looks like you had a great adventure! Sounds like a great place to bring the family. Will repost. Looks like a pretty awesome place and the kids had a lot of fun! And that’s what it’s all about! This looks like an awesome place to take the kids for an adventure. I am going to add it to our list of places to go to. Looks like a fun event. Hotel looks nice too! Nice summer event as well. Looks like you all had so much fun! Its been a long time since I’ve been to a water park. Thanks for sharing your experience. What a cool hotel! I”m glad that y’all had such a fun time! 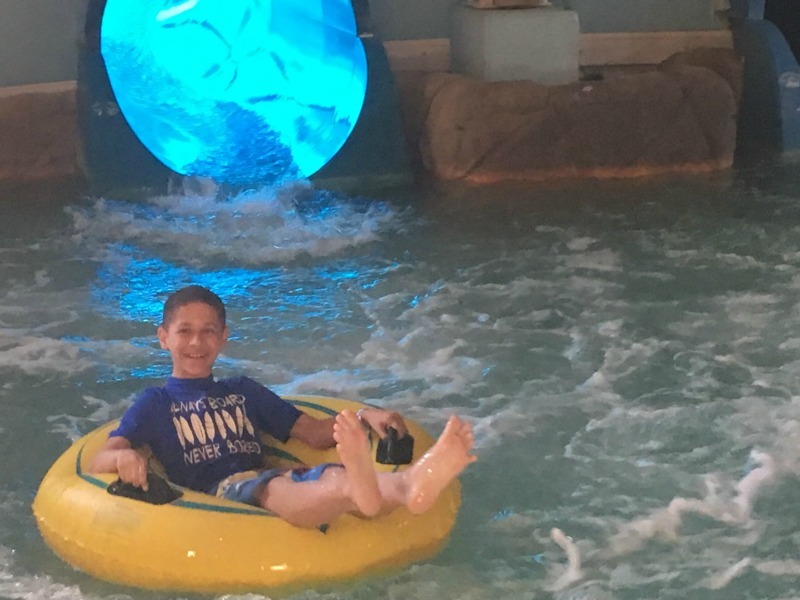 The coco key water resort looks fun and your children seem to have an awesome time. The best is they have alternate activities for everyone. A resort with a waterpark inside? It is calling my name. I have one of those near me, about an hour away that we’re trying to go to. These resorts look like so much fun and your kids look like they had a blast!